Banana Popsicles Homemade Healthy Treat | Homemade & Yummy Homemade & Yummy | Fun delicious recipes and more. Frozen treats don’t have to be full of sugar. These Banana Popsicles are easy to make and loved by kids of all ages. 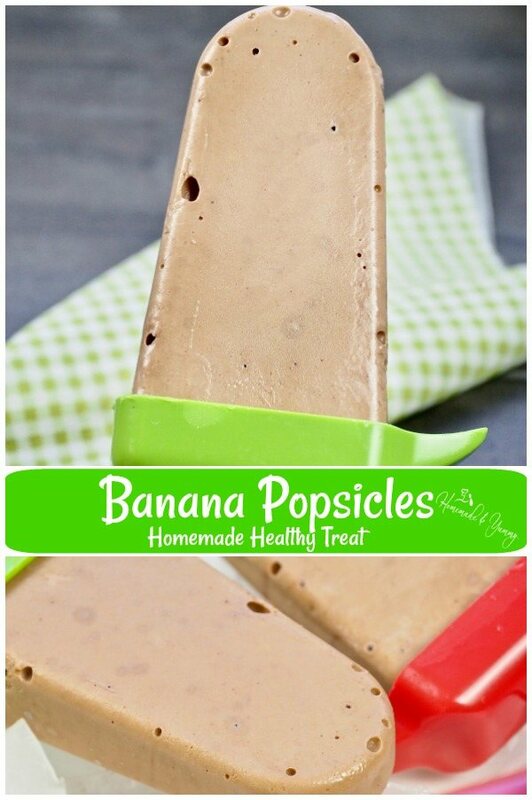 Ripe bananas are the main ingredient in these healthy homemade banana ice pops. 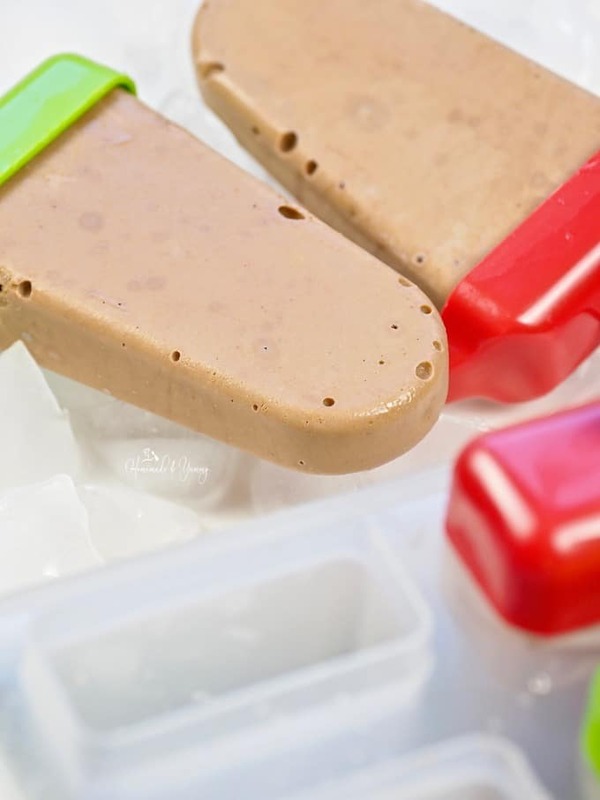 With the addition of peanut butter, cocoa and avocado these turn into super healthy popsicles. Do you make homemade popsicles? I have only done this in the last couple of years. 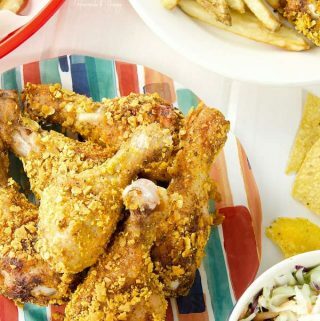 Once the grandchildren came along, gramma is always looking for healthy ways to treat the kiddos. 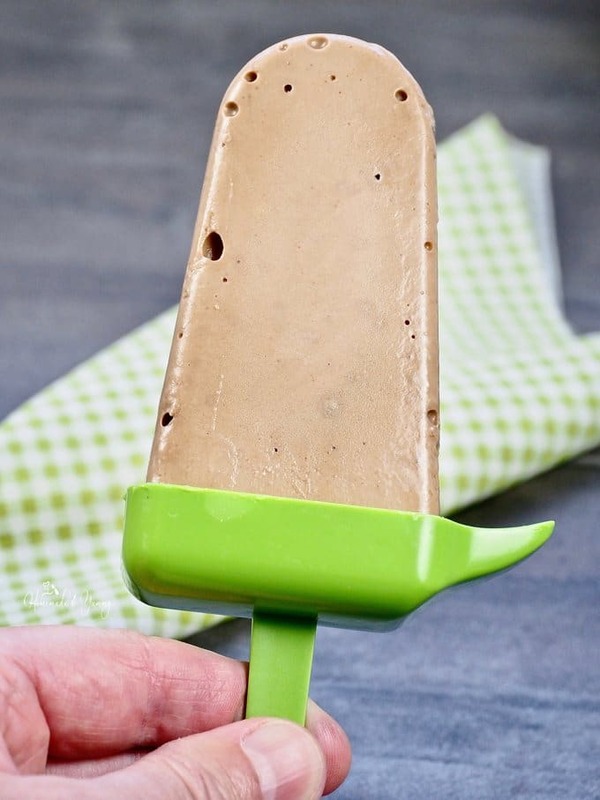 This healthy banana popsicle recipe is one of their favourites! It’s like a fudgsicle but a whole lot better. Makes me feel so good when I give them NUTRITIOUS treats not full of sugar. My grandson always asks me to make him pudding. Banana Chocolate Roundup is one of his favourites. Since he loves it so much, I decided to turn it into a kid friendly popsicle, perfect for hot summer days (or any time of year). 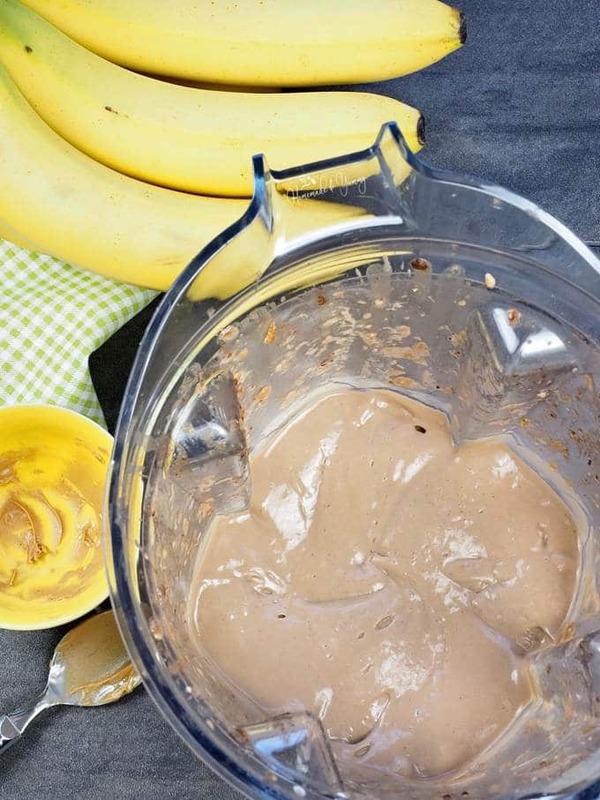 With a few simple ingredients (that are a staple in most kitchens), it is really easy to make these healthy frozen banana treats. If you have kids (or grandkids) it’s almost a guarantee you have these ingredients on hand ALL the time. I sure do, and use them all the time. Place all the ingredients into a blender, and blitz away. 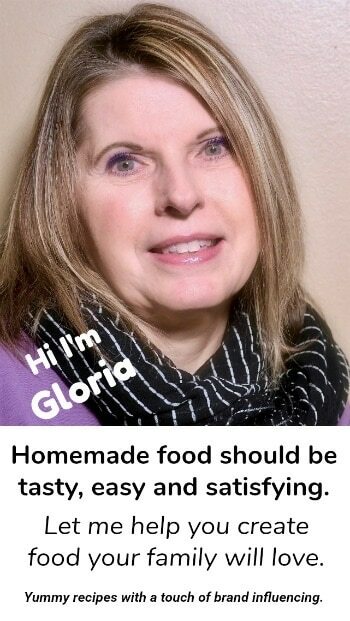 You can try using a food processor or immersion blender. Since most times I am using frozen avocado, my Vitamix blender works wonders here. 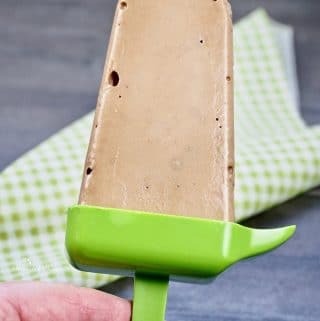 The best thing about these homemade banana popsicles is that YOU can make them nut free and dairy free. They are already gluten free. How much better does it get? With no added sugar, these banana flavoured popsicles are a win all around. 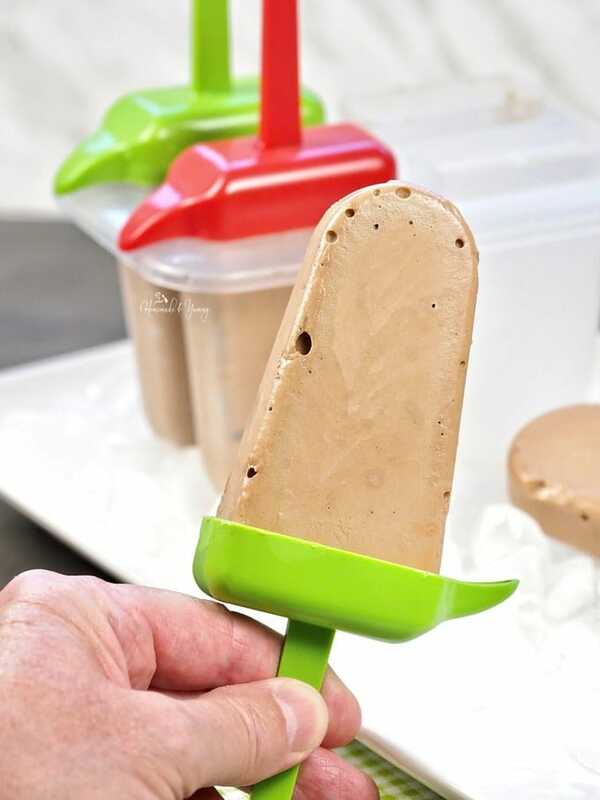 So, once you have your popsicle mixture blended, pour it into some popsicle molds. I will have a link below with a few that work really well. 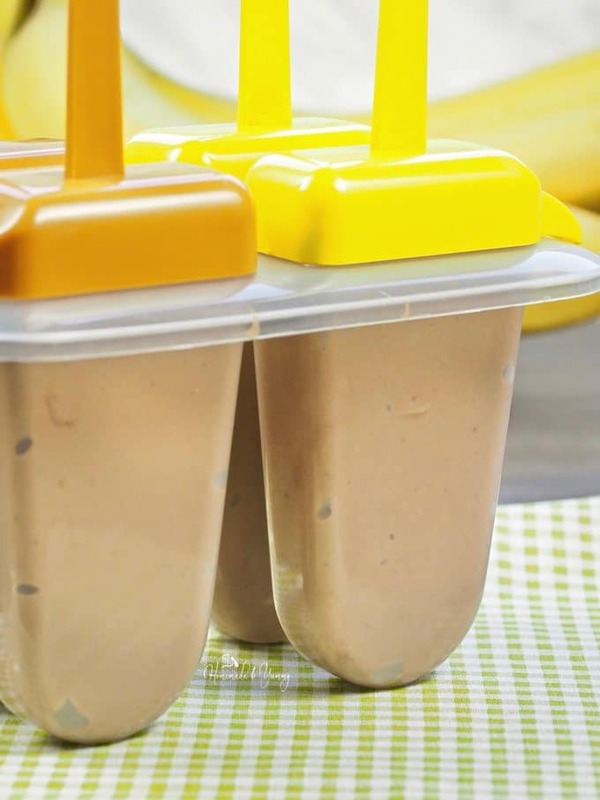 Place in the freezer until frozen, and you are ready to give ALL the kids (yourself included) a healthy frozen banana treat. When it came to creating a name for these banana flavoured popsicles, I did a bit of digging to see what people were looking for. Like all SEO research, it is like playing in the stock market. I wasn’t sure if I was going to call them chocolate banana popsicles, peanut butter banana popsicles, banana ice pops, or even peanut butter banana ice pops. Thank god I don’t let my husband do my SEO research (but oh how I wish he would learn). He thought I should call them BANANICLES or BANANSICLES. After I stopped laughing, I explained to him that I was actually trying to RANK on Google, and he was NOT helping my efforts here. So, Banana Popsicles Homemade Healthy Treat it is. We will see if I chose correctly or not. Please Google, cut me some slack. Either way, give these a try. ALL your kids (and YES to the grandkids) will love these healthy and nutritious banana flavoured popsicles. 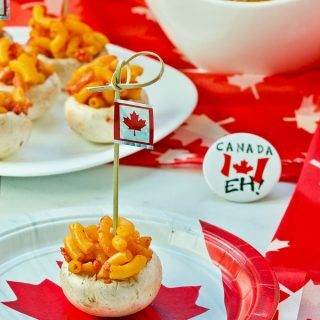 My grandson has already told me I have to make these ALL year long. FYI, my grandson is my biggest food critic (he is 6 years old LOL). He and his sister LOVE helping me in the kitchen. On a sleepover weekend, we made some no-bake peanut butter cookie balls. We try to keep things more on the nutritious side, but sometimes we have to sneak in a few treats too. 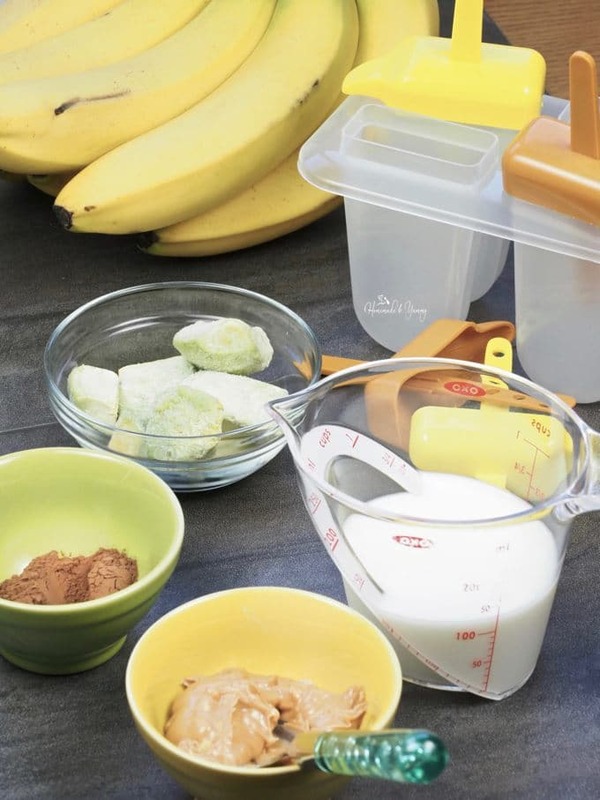 Have you ever tried a healthy banana split? This happens to be his favourite breakfast (especially on school days). What is your favourite popsicle flavour? Homemade frozen treats are the best. These Banana Popsicles are nutritious, gluten-free contain no added sugar, and can be made nut-free and non-diary too. Place all ingredients into a blender, and blitz until smooth. These healthy popsicles are customizable. You are free to use fresh or frozen bananas (I always have some in the freezer). I also have FROZEN avocado pieces that work well here too. Use whatever milk you like (full fat to non-dairy), and of course nut butters of all kinds work here. This recipe makes 4 popsicles. ***NOTE*** The size of your particular popsicle mold will determine how many you get. Also, if you have LARGE bananas, you can more milk to the mixture to thin it out a bit if it is too thick to place in the mold. We love homemade popsicles! Banging the mold on the counter a few times once you pour the mix into the mold can help reduce the air bubbles — I find the trapped air and the tiny air bubbles give the popsicles a freezer burn taste much faster (although maybe all your popsicles are eaten immediately and it’s not a problem!). YUP…just bang out the bubbles and you are good to add more mixture to the mold for sure. My kids are going to love these and I am going to love giving them to them! 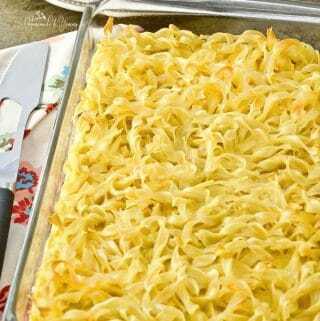 Going to be getting these in my freezer asap! I just made more. I can’t seem to keep these in the freezer. The grandkids devour them. I love a popsicle that can be eaten for breakfast guilt free!!! It’s been so hot and humid here that the only things I want to eat are COLD!!! 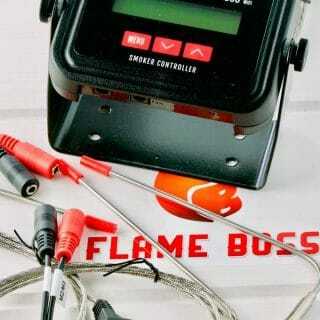 Well this is for YOU!! Healthy, nutritious….and GUILT FREE!! 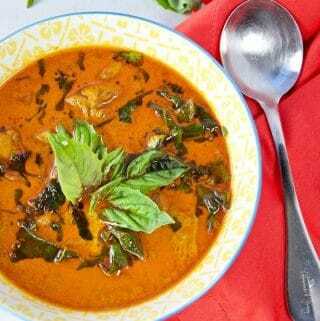 This looks so creamy and delicious!! 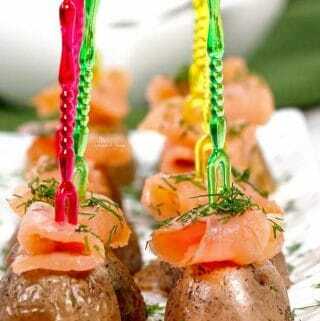 It will be perfect for my end of summer barbecue!! They are perfect for any day…all year long. These popsicles look incredibly easy to make and fudgy and full of flavor. It’s also perfect to use up all those leftover frozen bananas in! 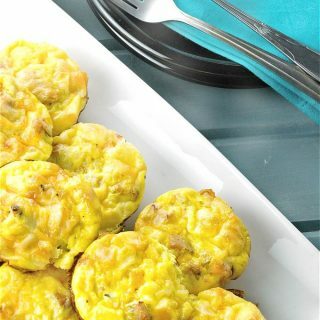 These will be delicious for a healthy snack, especially since it is still hot here! HAHAH….I seem to have a never-ending supply of frozen bananas. My toddler son loves anything banana. I am so glad this is a healthy treat because he would love these. Thanks for sharing. Oh my! I can just imagine how creamy these are! My kiddos would be all over these. It is amazing what avocados can do in recipes. Another yummy popsicle recipe to add to the arsenal! Love the flavor combo in these. 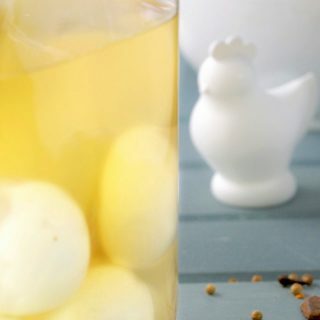 Can’t wait to make a batch! These are super healthy and delicious… a winning combination. What a great snack for the kids! 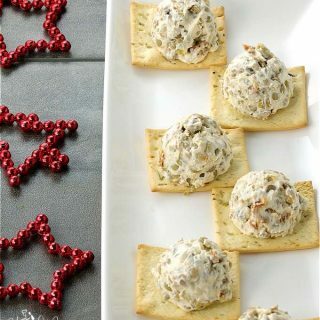 Love when a snack can be delicious and healthy at the same time! I know…I love making these for my grandkids…and they love eating them too. I have never tried banana popsicle before. Looks so rich and creamy. 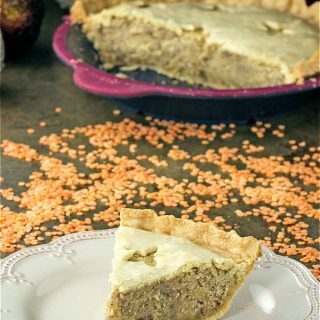 Your recipe looks so interesting specially with avocado and the combination of ingredients sounds delicious too. I can’ t wait to try this out.pinned. I just made more …the grandkids ate them all LOL!! Forget the kids – I want these for myself! So much good stuff in these popsicles you could have them for breakfast. I love your idea about using frozen avocado. I never think to freeze them when they’re perfectly ripe but I don’t have time to eat them. Yes frozen avocado is great…keeps me from throwing it out from going overripe.